Meyer Sound and Liechtenstein-based NTi Audio AG have announced a new cinema metre option for NTi’s XL2 handheld audio and acoustics analyser. Developed via a collaboration between the two companies, the Meyer Sound cinema metre option and test script is designed to allow cinema sound technicians to calibrate loudspeaker systems efficiently and to a high degree of precision beyond what is recommended by basic SMPTE standards—using a compact handheld device. Initially created to extend the capabilities of the XL2 analyser to facilitate accurate alignment of Meyer Sound EXP cinema systems, which are designed to deliver highly linear performance with optimised flat phase and amplitude response, the cinema meter option comprises a software package that includes a MeyerSound test script that can be used for tuning any cinema system. Test signals can be sourced through storage in the cinema system or from the NTi MR-PRO generator. The cinema metre project marks Meyer Sound’s first outside collaboration on a test and measurement product; the company’s SIM audio analyser was developed entirely in-house. The Meyer Sound cinema metre development was facilitated by Mintner along with Thomas Hupp and Philipp Schwizer on behalf of NTi Audio, with performance specifications and test routines developed by the Meyer Sound engineering department. 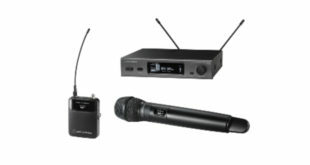 To begin shipping in July 2012, the Meyer Sound cinema metre option will be available through NTi Audio’s international sales channels either with the purchase of a new XL2 or as an upgrade to an existing unit. It will also be available through Meyer Sound EXP distribution channels.